Unfortunately for the Upside Down, Danny and Doug had not obtained Netflix’s permission before setting up the bar. Netflix’s lawyers sent a cease and desist letter to the pair, pointing out the lack of a commercial contract or intellectual property licencing arrangement between Emporium Arcade Bar and Netflix. From Netflix’s perspective, the popup is problematic for several reasons. Firstly, Emporium Arcade is profiting off of ideas owned and protected by Netflix. Without an agreement in place, Netflix has no way of being paid for its creative endeavours. These include the scripts, which are protected by copyright, as well as catchphrases, slogans and other logos, which may be protected by trademark registration. Secondly, Emporium Arcade unfairly benefits from the marketing and advertising paid for by Netflix to promote Stranger Things. Thirdly, Netflix can’t provide input or otherwise control how Emporium Arcade operates the Upside Down. This is a risk to the branding and goodwill of Netflix, as negative associations with the bar could have a knock-on effect, potentially lowering the reputation of the show. Despite the problems for Netflix outlined above, the company chose to take a relatively lighthearted approach in its letter to Emporium Arcade. The letter was relatively brief, friendly and funny: in a somewhat nerdy way, the authors even adopted the 1980’s slang used in the show itself. 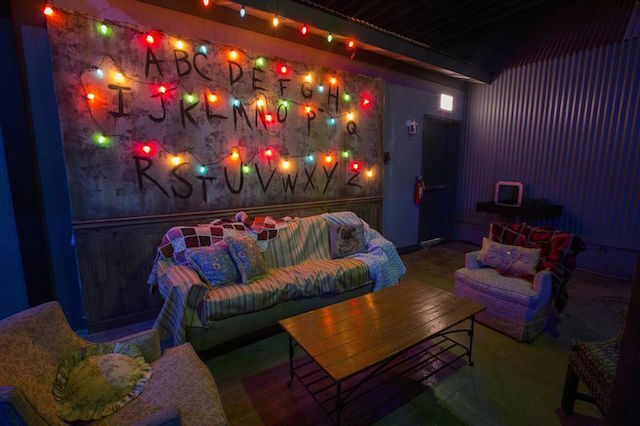 seek permission from Netflix first, if they wish to do a themed popup bar again in future. Phrases like “total wastoid” and “please don’t make us call your mom” are certainly uncommon features in cease and desist letters, or any type of legal correspondence for that matter. But I think the tone adopted by Netflix really works in this situation. In particular, Netflix is working to preserve the good vibes between itself and those who pay to view its content (it’s customers). By stating that “we love our fans more than anything,” Netflix is indirectly acknowledging that sometimes, imitation really can be a form of flattery. The letter also provides a bit of publicity for Stranger Things, as several websites have been sharing it as an example of a corporation taking a more personal approach. Netflix certainly has the resources to take an aggressive legal approach, but they instead chose to handle this potential commercial problem in a calm, cool manner. Building an experience around someone else’s intellectual property is a complicated and exciting project to undertake. We’ve found it to be imperative to work with the IP holder on experiences we build as they are the owner, but also become true creative partners in building something incredibly special for the fans. I don’t expect to replicate Netflix’s tone in my next letter, and of course, humour isn’t always appropriate when dealing with potential lawsuits. But this is a good reminder that a soft touch can both maintain good public relations, as well as protect the interests of your client. Pingback: Cease and Desist, Dilly Dilly!